It was another predictably wild and raucous Daytona 500 on Sunday afternoon as the 2018 Monster Energy NASCAR Cup Series season officially got underway. After untimely crashes knocked out a number of notable hopefuls early in the race, Richard Childress Racing driver Austin Dillon eventually snared the win, closing out the season-opener and shifting the NASCAR focus to Atlanta Motor Speedway and the Folds of Honor QuikTrip 500 Weekend in Week 2 of the season Feb. 23-25. If it weren't evident before how important Playoff points are to drivers, especially early in the season, the chaotic final laps of each stage on Sunday night revealed exactly to what lengths drivers are willing to go to set themselves up for a shot at the 2018 post season. 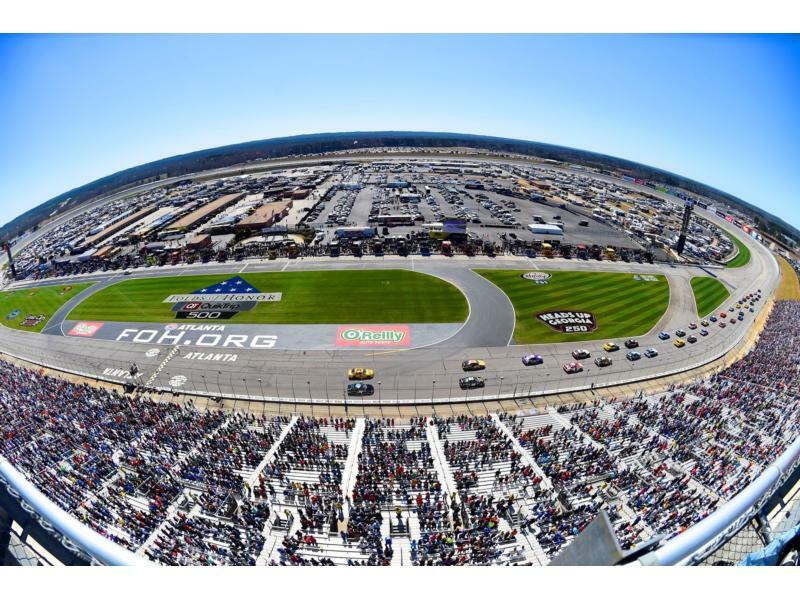 And that can only mean more of the same next week, when drivers will undoubtedly be pushing the limits in a crowded field of 40 cars to capture a favorable finish, all while battling the slippery, tire-devouring 21-year-old surface at Atlanta Motor Speedway. Those wild, end-of-stage frenzies spelled disaster for Stewart-Haas Racing newcomer Aric Almirola, who was leading on the final lap with victory in sight Sunday night until disaster struck with less than a mile to the checkered flag. "My heart is broken," said Almirola after the race. "I thought I was going to win the Daytona 500. I did everything I could, but unfortunately, I ended up in the infield care center. I'm definitely devastated, but the beauty of it is there's always next week. We'll go to Atlanta and try to go win there." For Dawsonville, Georgia native Chase Elliott, who saw his day come to an end after a wreck with several other drivers just past the halfway point of the race, it was a disappointing way to close out what began as a promising day. "I had such a fast Camaro ZL1 today, and I just wanted a shot there at the end. Tough circumstances," said Elliott. "It was really aggressive all day, and I think the safest place to be is out front, and everybody wants to be there, that is the problem." For his part, the 22-year-old, who enters his third full-time season at the Cup Series level this year, did run near the front for most of his race and even led four laps before being caught up in a wreck. And despite the letdown of Sunday afternoon, he's already looking ahead to the Folds of Honor QuikTrip 500 at Atlanta Motor Speedway, his home track, in less than a week. "Disappointing way to end the 500 this afternoon, but we will move on down the road and try to get 'em in Atlanta." Fellow Hendrick Motorsports driver and seven-time Cup Series champion Jimmie Johnson suffered a similar fate after leaving the race following a crash near the end of the race's first stage. He echoed Elliott's sentiments about the surprising level of urgency so early in such a long race. "There was some great racing throughout. But unfortunately, many thought it was the black and white checkered flag and not the green and white checkered flag (on lap 60)," Johnson said. "We will go to work and go to Atlanta next week." One thing Johnson can look forward to after the letdown in Daytona is his repeated success at Atlanta Motor Speedway. With five victories there over the course of his career, he's the winningest active driver at Atlanta and has won two of the past three races there. Alex Bowman, teammates of both Elliott and Johnson at Hendrick Motorsports, was already looking forward to the second race of the season even before the Daytona 500 got underway. He knows Atlanta will be the first true test to determine exactly where both drivers and engine manufactures will stack up as 2018 kicks in to high gear after tonight's season-opener. "I'm really excited, especially with the Camaro ZL1, to get to Atlanta, unload and see what we have," Bowman said. "Speedway racing is its own beast and completely unlike anything else we do, so it doesn't really give us a good judge of how we're going to be for the rest of the year. When we unload off the truck in Atlanta, it's a good idea how we're going to be the remaining part of the year." 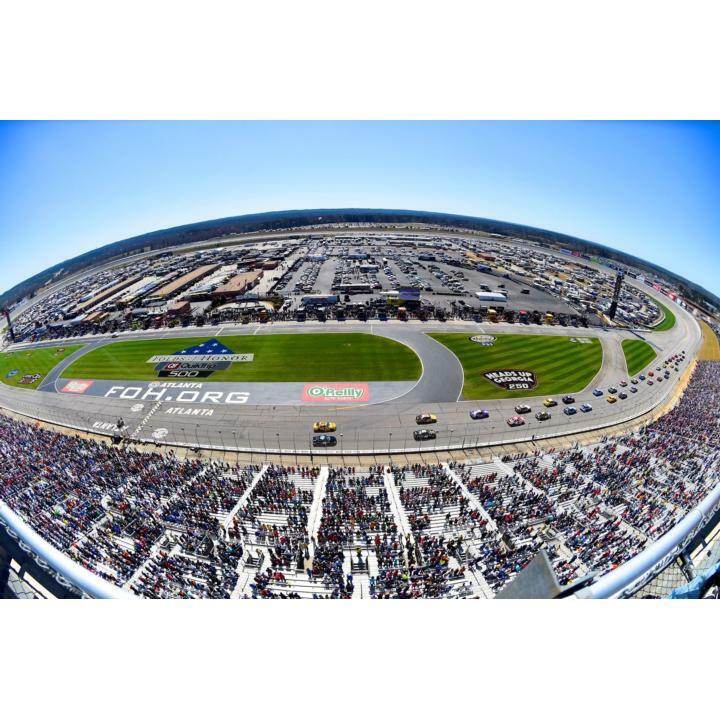 With near record-setting temperatures in the forecast for the Atlanta area next weekend, the 2018 Folds of Honor QuikTrip 500 is shaping up to be three days of incredible NASCAR action, a memory-making experience for race fans arriving from across the country.